This wonderful home offers a soaring 2-story Foyer, Formal Living which would make a great Study, elegant Formal Dining with crown and laminate hardwoods, Family Room featuring a gas-start fireplace and wall of windows overlooking the backyard, open island Kitchen boasting an abundance of cabinetry, smooth-top range, pantry and sunny Breakfast Nook, spacious Master Suite with an updated bath offering dual sinks, jetted tub, frameless glass shower, linen and walk-in closets, generously sized secondary bedrooms and Powder Bath. Exterior amenities: Side-entry garage with storage area, sprinkler system, gutters and alarm. 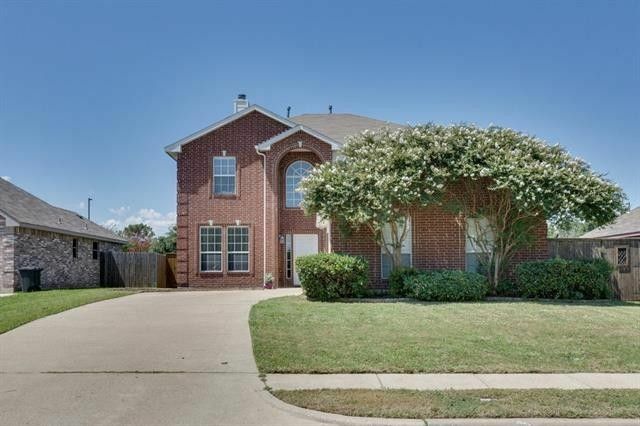 Conveniently located near shopping, schools, restaurants, hospital and easy access to I-30. Directions: From Dallas: I-30 to Rockwall, exit Ridge Road, stay on EB service road, right on Market Center, left on Ralph Hall Pkwy, right on Angie, left on Beverly. From Royse City: I-30 to Rockwall, exit SH205-Goliad, left on SH-205, right on Ralph Hall Pkwy, left on Angie, left on Beverly, home on left.